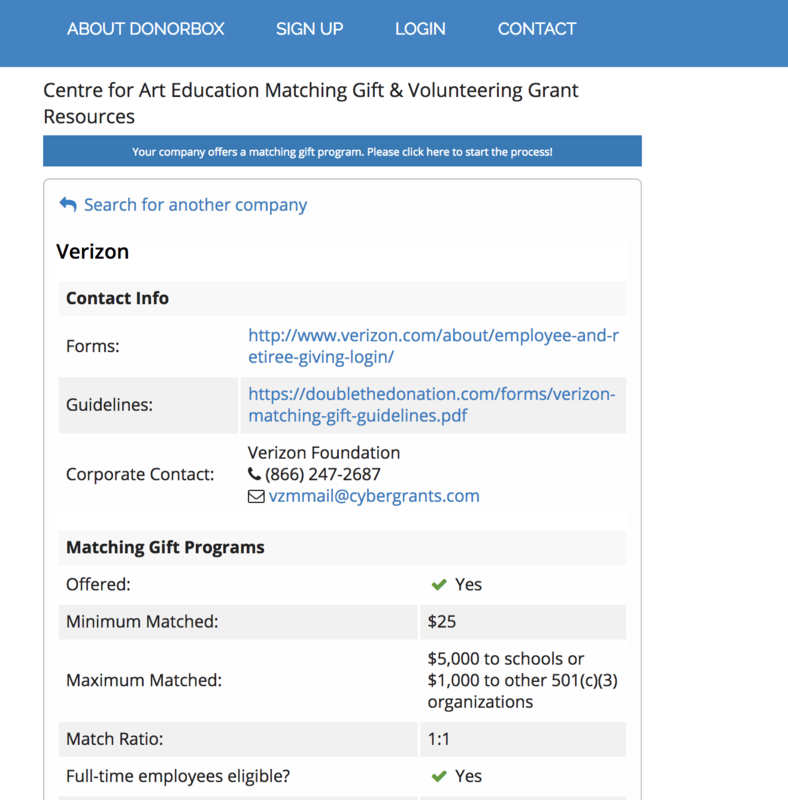 Many non-profits using Donorbox are taking advantage of employer donation matching. 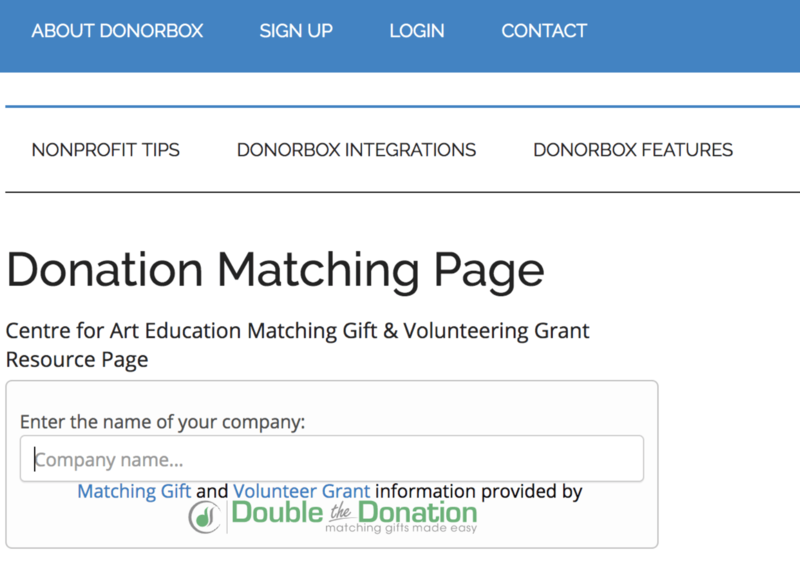 With our Double the Donation company matching integration, donors can search for their employer’s matching policies during the checkout. 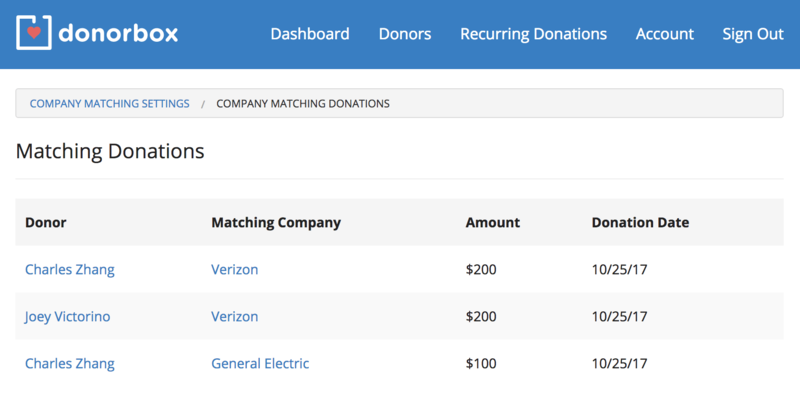 What if you want your donors to search their employer matching outside of the donation checkout? Perhaps your offline donors want to match their donations with their employers as well. Today, we are announcing the ability to do just that. When you signup for our company matching integration you are given a matching search page that includes your tax info and an FAQ. This is good, but many of you want the company matching search on your own website. This way, you can control the branding and the content around it. This can now be done easily with our company matching embed code. Simply copy and paste this HTML code into your webpage and a company search widget will appear inside of your site. Around the embed widget, you can add any other information such as FAQ, nonprofit address, and tax id. We also added a page that lists all of your potential matching donations that went thru the Donorbox checkout. This page can be reached from the “View your Matching Donations” link on the company matching settings page. We hope the matching gifts widget will help you rake in lots of matching gifts for the holiday fundraising season!